-Me and My Brother Share an Account- As someone who's family is filled with mental disabilities, I wholeheartedly agree. My brother alone has 7 disabilities, including OCD, Sensory sensitivity, and tourettes Syndrome( I apologize if it is misspelled). I also think it would be really cool to have something where a baby could be born with disabilities as a result of drinking during pregnancy, or an accident. Ah. I remember the days when Sims players would cringe and attempt to silence the very idea of disabilities being implemented into our favorite franchise. Primarily on the topic of physical disabilities. This takes me back. I personally am on the fence about this idea. Though I am all on board to make our Sims' reality mimic actual reality, I can see a lot of issues in this topic. And I'm not just talking about the controversy. For starters, how the developers will install these features into the game without it conflicting with the rest of the content within the game. Let alone if they even have a moderate grasp of what mental disabilities are and how they're going to treat this matter without looking like they're insulting the matter. Plus, yes; The controversy does play a pretty big role in the matter. Like how cognitively deficient sims will require a lot of attention and care. Individuals with these certain disabilities are more than often dependent. Most of them will require constant observation and aid. Though this does add some challenge to the game, it will end up being depressing for the most part. Speaking of depressing, since you have noted psychological illnesses as a feature, ever heard of manic depression and suicidal tendencies? I wonder how that is going to work in a rated T for Teen game. Plus, while we're at it, let's implement physical disabilities onto the wagon. Don't get me wrong. Like I've stated before, I'm all for implementing reality onto our Sims. Especially the dark, controversial, and depressing matters/concepts of reality, but let's face it. EA isn't going to make this happen. Especially in a rated T for Teen game. It just won't fit into the theme of the game. Though maybe EA and Maxis can create an extra branch or "sister franchise" of The Sims. One where it is rated M or something along that line. Where our sims can experience/deal with Mental and Physical disabilities, illnesses, and trauma. As well as Religion, Conflicting Philosophies and Ideologies, Substance Abuse, War, Murder, and all that uncomfortable jazz. All that mixed with everything that makes The Sims... The Sims. Though I'm not going to bet on EA doing that. Hmmm. This is obviously a controversial topic. I myself have a variety of mental and physical disabilities, and I confess it's rather nice that I don't have to worry about added complications in-game from my Sims having disabilities. I have a hard enough time keeping them alive as it is, LOL. I can no longer work or do many of the things I used to love, and even the most basic activities like eating and showering have become fraught with complications. I don't really WANT to subject my Sims to that. Don't get me wrong, I still have things to live for (The Sims being one of them :smile: ), but if there was a cure for my worst disabilities, I would take it in a heartbeat. On the other hand... It would be nice to see some more real world mental and physical diversity in The Sims. (Not just to add entertainment value to the game, but to start real-world conversations about ableism, disability rights, advocacy, accessibility, etc.) We have a decent variety of mental "traits" and physical skin tones and body types (etc.) in-game now, but we don't have something as seemingly basic as a height slider, for example. I like the OP's ideas for implementing neurodivergence, though I fear that something similar for physical differences would be much more challenging to implement. The aforementioned height slider, for example. I suspect there is a very good reason we have never had one, so can we even dare to hope for Sims using canes, crutches, and wheelchairs? NOTE: This is a copy of a post that made to another thread, and I was told I put it in the wrong place. So I will post it here. As a gamer with a disability, I am very appreciative of the number of worlds gaming has opened up to me. Video games have allowed me to play as a small, green, frog-like blob crossing a street, a magic-wielding knight who rescues princess Zelda, an underground street racer, a professional hockey player, an Italian Renaissance warrior who works with Leonardo Da Vinci to fight a global conspiracy, and a leader of numerous armies of knights, mages, and thieves in various fantasy worlds. So, when the Sims first came out, you can imagine how I felt about finally being able to roleplay as me ... almost. I have read on other forums about how the developers consulted with LGBT advocates to mirror the state of gay/lesbian affairs in America and the creation of the gender customization options in Sims 4. I don't see why they cannot do the same with some disability advocates to redesign Sim homes and neighborhoods in future games (though I do agree that it is probably too late to include this in Sims 4). Additionally, one of the areas where I have struggled with my disability is finding meaningful employment. With regard to the point about finding employment being a life goal, I for one think it would send a positive message to see disabled Sims as office workers, writers, programmers, business owners, or politicians. I also feel that any disabilities included would need to be included on some kind of sliding scale. Some people have perfect vision, some are totally blind, and I am somewhere in the middle. I for one am tired of seeing glasses trated as some type of Mr. PotatoHead-style fashion accessory; I can assure you that my mother's driving glasses and my grandmother's glasses are not just fashion accessories but physical necessity. Glasses would not work on me, and yet I still have some sight. Often I feel with disability in games it is either all or nothing; The Sims would need to develop a way to account for the many shades of gray. I understand that not everyone feels the same way I do. Many play games to escape from reality; this to me was the appeal of fantasy games. But as far as The Sims is concerned, I always felt that promoting individuality and creating a truly diverse world of people was what this game was about. Some players will want to include disability, others will not, but those who want it should be allowed to have the option. At the very least, I think they could put some ramps at the street corners and create some disabled Sims as NPCs to at least get people used to the idea. I am normally on board for something new for the sims but this time it is a little difficult which comes from me having a very bad time with depression at the moment BUT saying that I am not against this idea for a pack. I had heard that EA was thinking of a disability pack but as I don't use twitter I don't know if there have been updates since they said about the idea so please correct me if I am wrong somewhere. The question I have at the moment is how far is EA going to take this? Is this going to be only a wheelchair, crutches, cane and guide dog sort of pack or are they going to go deeper as we are all aware there are many different kinds/types of disability? I can only hope that EA will be respectful and not make things look like a joke. I am sure they won't but things happen. For me, I would like an option to turn certain things off for a time and when I feel alright, I can turn it back on. Now I say that if this is something that happens by itself as the weather in the game does but if it is a trait then I can just not use it if I wish. I think this pack (if it happens) is one I will wait and see where it goes. This pack idea is a bit iffy only because many people have their own ideas on what disability means (and whether or not it's real, yes there is that type of people out there, sadly). If this pack happens I can only hope that EA shows respect and doesn't do this pack plum because this is a subject that can be touchy for some people and it really can't be done plum. From the tweets I saw during the summer (around the time Seasons came out) I saw they ARE consulting disabled simmers. Around May they tweeted that they had a design problem something to do with a wheelchair and talking to simmers who uses wheelchair and they figured out and (fix) the problem. I also feel that any disabilities included would need to be included on some kind of sliding scale. Some people have perfect vision, some are totally blind, and I am somewhere in the middle. I for one am tired of seeing glasses treated as some type of Mr. PotatoHead-style fashion accessory; I can assure you that my mother's driving glasses and my grandmother's glasses are not just fashion accessories but physical necessity. Glasses would not work on me, and yet I still have some sight. Often I feel with disability in games it is either all or nothing; The Sims would need to develop a way to account for the many shades of gray. 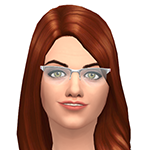 I agree with you on that-I hate the "Mr. Potatato Head" style fashion accessory myself since I use glasses on my sim-self and hate that she "magically" wears contacts when she goes to work. I agree with you about About promtoting indivuiduality and creating a truly diverse world was what the game was about. the people who don't want disabiled sims in their games wouldn't want Disabled NPCs because it might "Remind" them of their own sad life (not my quote). There has been updates but noting since I think Sept(?). It's not going to be a trait-that would be the lazy way out-apperently they're working as hard on this idea as they're on the "Queer" patch. Talking to disabled simmers about various stuff. There's was supposedly an article someplace saying that the sims could get a "Mysterious illness" which they could die from. They didn't call it the c-word but basically if it's an illness you can die from its can't be anything but (C) word now can it? I think there was some talk about mental illness. (something among the lines is that disabilties mental or not) wouldn't be the trait-which is what they're trying to figure out. But they do realize they have to be sensitve for all the disabilties espically the mental health ones since there's still stigma there and they like most people are trying to break it down. They been working on the idea since sometime before May. But they say they wouldn't charge for the pack it would be free. Hopefully for the people who don't want it-there's a turn off option. They were a bit "fuzzy" when someone asked about if a sim could be born with a disability. They didn't actually answer the question. @Masters_In_Simology @ManakoHime I know for wheelchairs they're going to open it up that children+ older can use it so it wouldn't be limited to just elders. @MadameLee thank you for the information! I didn't know this would be a free patch (which is nice) but I do hope there is a turn-off and on option. As I said I am interested about having this patch in my game but there are times I am in a really bad place and I struggle and the last thing I want to see is my problems happening in the game. I don't know how I feel about the term "Mysterious illness" if it is indeed going to be an equivalent to the c-word. 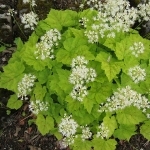 My mum has it, a friend of ours suddenly died from it and calling it a "Mysterious illness" feels a bit insulting to her and the many others out in the world who have it. I personally hope they change the name to something better. I am disabled, and I do not want disability in my game. I use the game to escape my disabilities, not play at them. just because you don't want it in your game doesn't mean other people might want it in theirs everyone has a different idea of a utopia. And how well have they done so far for not forcing unwanted content on players? I hear a lot of complaints about certain things... If they made things to toggle off completely, maybe then there's possibility of things working. I'm not so adverse to the concept of things being included, so long as there is the option to toggle them off completely. Or better yet, players who want this sort of content should need to toggle it on, to access it, thereby not forcing anyone at all to have to suffer it. It's incredibly rude and thoughtless, and possibly harmful to force people to accept disability into the game. Disabled people are not here for everyone elses entertainment. We are not a toy to entertain. I mean you DO want beach word based on your home country of "Down Under" or "Oz" right? Some people don't want a Aussie Beach world but a island beach world..or something.. how would you feel if someone said that about your ideas. I would rather a beach world based on Brighton England. Or a nice island location, like the Outer Hebrides. We already have a tropical location, it's time for something different. Not more of the same poo. I agree with Movotti. People with disabilities are not here for our amusement and putting them in a game where Sims are regularly abused by their players I can think of some very offensive things that can come of this and EA games would be responsible for this. I don't honestly think they will risk the media coming down on them. @ManakoHime - sending good wishes to you, your mum, and your friend. /hugs! Whatever they add they are going to have to do better than they have done in TS4. Example: When I play one of my insane Sims in TS4 and then rotated to a different family I would find him in the parks in the homeless outfit, though he had a job, hanging in parks, sleeping on benches etc. Can you imagine if they add more traits to represent some sort of mental diablity then parks might be filled with our own Sims (like those with the insane trait) in homeless outfits etc. There are so many complaints about Sims in wrong outfits (though supposedly they patch this often) Sims in jobs out of jobs though they are not supposed to drop a job or change jobs, etc. etc. Then there are the spawning issues with Sims some want a toggle to turn off. CL townies, Vampires, Celebs already.... I can't trust them to do any of this right based on what they haven't done right so far. if you had notice my previous post-they Sims team has said mental illness unlike the "erratic" (formerly insane) trait wouldn't be a trait. 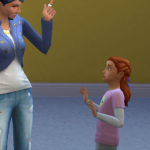 How would they make sure a Sim had all the behaviours of that disablity if not a trait? Especially if you were picking which type of disablity you wanted them to have? And how would we know how they would behave if not a trait? What? a list of disablities in CAS, and we pick and choose which type of Sim. I don't know that seems sort of offensive to me to flip through choices. A trait that covers it might be less offensive. They have LITERALLY said that mental illness wouldn't be a trait since they felt it would be "inappropriate" I guess I need to find the Tweet that Grant said that in? <blockquote class="twitter-tweet" data-lang="en"><p lang="en" dir="ltr">I think it is inappropriate as traits. Saying Bipolar is the same as Loves the Outdoors feels wrong? But, allowing for these things somehow is something we want to figure out. <a href="https://t.co/IENGJVknFT">https://t.co/IENGJVknFT</a></p>—; Grant Rodiek (@SimGuruGrant) <a href="
so if you have an issue go talk to Grant on twitter about it..not us. I don't have an 'issue'. I simply asked. I wasn't aware of the tweet. I'm not on Twitter and never will be. I was simply asking how they would do it, and thought you might know how they planned to allow us to pick this stuff in CAS. I have to agree with @Cinebar on this one. I know that they don't plan on making disabilities a trait, but how would they then implement mental disabilities? 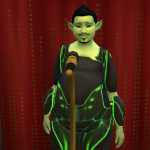 While I understand that some simmers out there with physical/mental disabilities feel left out and want a chance to create a sim that is like them, I don't think this is the game for it. That's just my opinion and how I feel on the subject. I could maybe see physical disabilities if done respectfully, but I can't see this particular iteration of the sims doing mental disabilities with out changing the entire tone of the game. Sims has always been a more cartoony, light hearted, kinda realistic but not really take on a life simulator and that's not a problem in and of itself. I love the sims franchise. It's just I don't really feel like mental disabilities fit that tone well. Maybe in the future if they decide to take the series in a more serious, mature direction then it would be time to add them. But as for now my vote is no. @Cinebar Sorry if I was a bit offensive. They didn't actually say how they're planning on doing it. It's something they're trying to figure out. I just hope for the people who don't want it there's a "turn off" function (I personally think there might have to be several "turn off" functions regarding disabilities in the game. Since Grant didn't technically answer when someone asked if a sim could be born with a disability and there's not really any job accidents that could cause a disability). With all due respect, adding psychiatric illnesses to The Sims just doesn't feel right to me. Depression, anxiety, anorexia, bipolar disorder, bulimia, schizophrenia, and other ones really aren't disabilities they are psychiatric illnesses. They are serious diseases which thankfully can be treated or it's symptoms can be controlled through medication or electroconvulsive therapy. Are we going to add those two as well? It just doesn't make sense to me I don't think we should go into the seriousness territory. In TS4 vampires can cast halucinations and there's the erratic trait, those are just silly sims things but actually tagging a system to give ours sims real diseases seems inappropriate. Just saying. But who am I really. What do disabilities have in common? They prevent a person from living a normal life right? Mental illness/mental health also prevent people from living a normal life. Hence why its classified as a disability. Some people think the Schiz folks are a Mad Hatters and reap people if not themselves. Depression affects a person-something they might enjoy once might annoy them a lot later and they don't do it anymore (for example in a mental health first aid training video the depressed person literally gave away their hockey equipment after not going to hockey practice. They might think the world would be better off without them (George Bailey during the main events of "Its a Wonderful Life".). There's is even something called "Seasonal affective disorder" (SAD) which means during winter time a person gets depressed). Eating disorders, as well as Anxiety and Autism are also mental illness. I have (anxiety, Austim and a minor depression undigonazed) plus developmental disability . Might I point out that mental illness people aren't the only ones who take meds to "appear normal"? Well, depression goes way beyond just that, and my references don't come from movies or first aid videos I have a bit more insight on the specifics, how it doesn't matter because it would go into the personal territory and this is a public forum, but I understand how you would say that it is similar to a disability, albeit that disabilities can't be treated with medication, not directly anyways, you can't enable your brain to produce chemicals and hormones to suppress or change a dna gene or a physical malformation but you can alter the neurotransmitters that might be affecting parts of your brain. But I'd like to point out that no one takes medication to look normal. They take medication because they want better life quality. We looked at signs of various mental illness and it's was stated many times that one might be diganoized as another like I think it's bipolar is sometimes digaonized as depression since some of the symptoms are simliar. I take medication so I can function like everyone else-without a certain meds which normally help people prevent pregnancy-it helps me control the other pregnancy-making business other words I would have never or rarely ending "Aunt Flo" visit. I'm not exactly sure why I take the other two-but I know why I talk the last one. 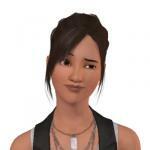 Recently, the Gurus have come and told Simmers that they have been thinking about adding disabilities into The Sims 4. I think this is a great step forward in inclusion. There are wide range of kids - and adults - with disabilities who enjoy playing The Sims 4, including myself. Not all of us are interested in giving our Sims-selves disabilities, but I know a large number of us are. I'd like to give my feedback about how I'd like cognitive disabilities and mental health disabilities to look in the game. My experience here: I am cognitively disabled myself (I am autistic), and I have multiple mental health disabilities. I am a disability justice activist and have worked with several disability rights organizations. I've lived with a range of people with disabilities, including cognitive disabilities, mental health disabilities, physical disabilities, and mental health disabilities. On my college university, I've worked in an Access and Inclusion group to make the campus more accessible, and I run a disability org for students. I have some thoughts about how physical and sensory disabilities would work as well, but it's really not my expertise, so I'll be focusing on cognitive and mental health disabilities. The Sims 4 team should consult actual people with disabilities in implementing any new features or mechanics for people with disabilities, and should be careful to present disability in a fully respectful light. By 'consulting actual people', I mean actual people - not our parents, siblings, or organizations that represent us without us. While it would be fine to consult those groups as well, they should first and foremost listen to actual disabled people. Individual cognitive or mental health disabilities should not have discreet options for different disabilities. Players should be able to check a "neurodivergent" box (neurodivergent meaning a person with any kind of cognitive or mental health disability), and from there should be able to select certain disability traits that their Sim presents. There are far too many cognitive and mental health disabilities to include everyone, and many cognitive and mental health disabilities can look different from person to person, even if it's the same condition. Many traits also overlap from condition to condition. This gives people the freedom to build a Sim with a 'brain' that most closely matches what they'd like. Sims maintain their cognitive or mental health disability traits throughout life, and this disability remains in the ghost life stage. Many people with disabilities identify strongly with their disability and would not cure it if they had the choice. It also sends a bad message that a 'good' afterlife would, by necessity, mean someone wasn't disabled. Disabled people can have good (after)lives and be happy not only in spite of their disability but because of it! Of course, players should be able to remove these disability traits through cheats or CAS. Townies should be able to randomly generate with disabilities. This would be a *big deal* for all sorts of people with disabilities playing the game. We hardly ever see ourselves represented, and it might help people feel more self-confident making Sims that look like themselves. Sensory Seeking disability traits and Sensory Avoiding disability traits. You should be able to chose if a sim avoids or seeks certain types of senses, or is neutral to them. (Example: Sim A seeks sound, but avoids taste). This is a heavily simplified version of how sensory sensitivity might work, but a more complex one would likely be very difficult and costly. A sim who seeks sound might get an extra happy moodlet from loud music, but one who avoids taste might get uncomfortable moodlets from certain, randomly generated food items. Alternatively, in reverse, a sim who avoids sound might get an uncomfortable moodlet from loud music nearby, fireworks, or other loud stimuli, and one who seeks taste might get an extra happy moodlet from eating certain foods. 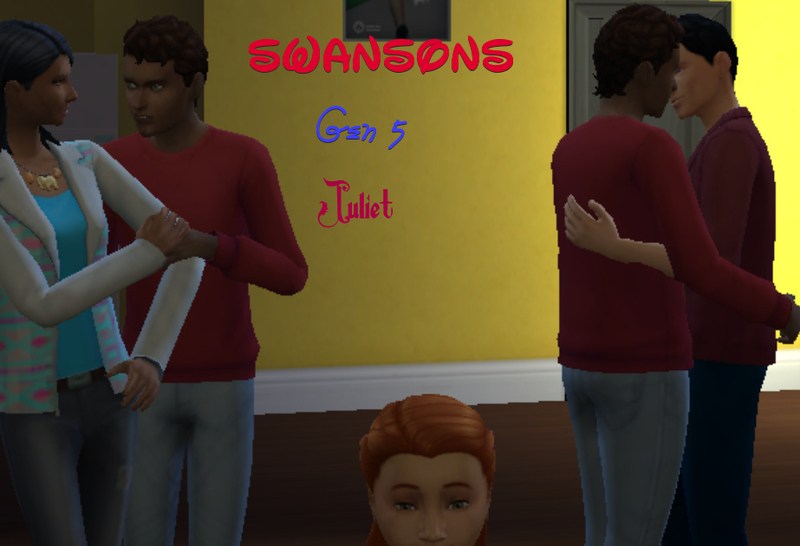 A sim who is touch averse might get uncomfortable or angry moodlets when hugged, and a sim that's touch seeking might have increashed wishes for hugs, or might like a weighted blanket. These disability traits should be usable for any sim. 'Stim' or 'Fidgeting' idle animations. Many autistic people, as well as other neurodivergent people, do something called 'stimming'. Most people are familiar with autistic children flapping their hands, this is stimming. However, other things, like clicking pens, rocking back and forth, twirling your hair, or walking on the tips of your toes might be stimming. I think an option to pick from a list of maybe 6 or so common stims would be great. Your sims would be able to do these animations while idle/not doing anything, or maybe when multitasking for something like watching TV or listening to music. Again, any Sim could do these stims/fidgets. There shouldn't be a "socially awkward" game trait, but including some aspects of neurodivergent social interaction would be neat. 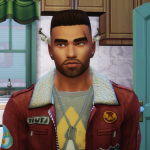 I'd like to be able to make characters who dislike eye contact, or Sims with a strange sense of humor who's jokes might fall flat with other Sims, especially sims who don't also have the disability trait for humor. Maybe neurodivergent Sims have an easier time building up friendship with other neurodivergent Sims (I've found that this is often the case). Rituals would be a great addition - lots of neurodivergent people like rituals, like doing things in a certain order. I think it would be fun to be able to make a ritualistic Sim (with a randomly generated, but plausible ritual, such as always having a morning routine in a certain order) that has a tense moodlet if it's not fulfilled, and a happy moodlet when it is. This would be relevant for all sorts of Sims, including autistic Sims, Sims with OCD, etc. So what does everyone think? I've been thinking about how an autistic Sim would look like for a long time, but I only recently though of a broader system to allow for all sorts of cognitive and mental health disabilities. Do you have a cognitive or mental health disability? How would you like to see yourself in the game? Do you think that it *should* be game traits, or would you prefer a more flexible system like the one I mentioned? Would you prefer not to see it at all? And for simmers without disabilities, do you think you would make Sims with disabilities? Do you like my ideas? If you could be a EA Hero for this forum I would think you be best to represent yourself to EA/Mavis with your knowledge you have the right skillsets to answer the questions needed to asked. Also just want to point out there are physical diseases, invisible Illnesses etc. so if we incorporate one we have to incorporate all what are your thoughts on this because I have Chronic Illness myself?